now that would be an upgrade! would make it so much bette, and i'd watch it a zillion times, just like my kids! just a question: did you glue that onto his face?! Hilarious!!!! I haven't been on here in awhile and I needed a good laugh today! LOVE it!!!!! Glue? That would damage him!!! I had the help of a John whose hand is hidden away holding them on! 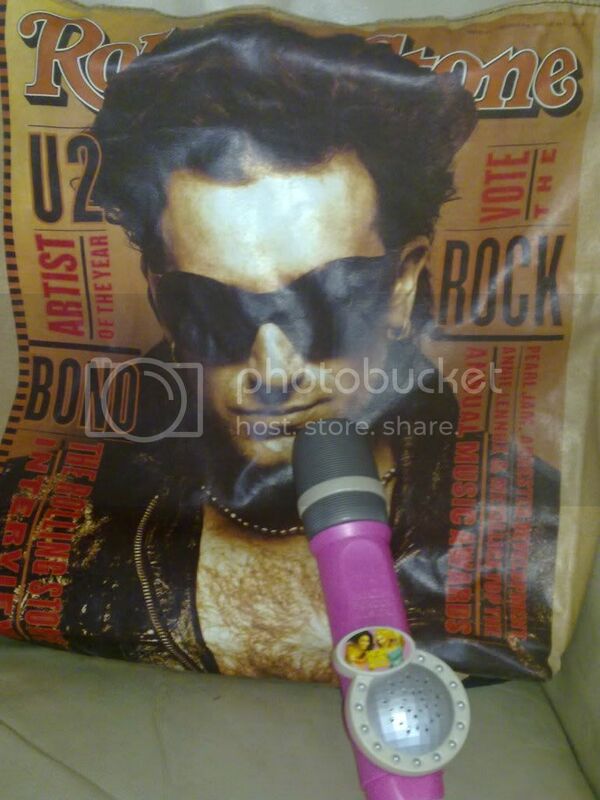 U2 and purses, my two obsessions! I need to find me one of these bags! And think of all the fun you can have with the bag and kid's toys! Ideas running through my head! I babysit 4 and a 5 year old boys. Bono going back in time with dinosaurs, saving the world from Transformers, hanging out with Spiderman and Hulk, bakugon battle brawling Bono!!! And of course playing hockey, I am Canadian after all! get the bag!!! I want to see those pics! I got mine from a lovely Zootop in America - they are from Walmart. I need to think of more poses to post tomorrow! I have a U2 fanatic friend in the States, I will ask him to look for one for me. Please post more, looking forward to seeing them! Have no more right now - but tomorrow I will plan more and do them! I'm having so much fun! you mean you covered up johns hand in the pic?? OMG! you're becoming professionals in this line of work!lol! We are thinking of setting up a new company in bag photography! barbara1']you mean you covered up johns hand in the pic?? OMG! you're becoming professionals in this line of work!lol! with us on our 29th anniversary! love them Nancy!!! Like them all so much! Hope you had as much fun as i did making the pics! Thanks Nancy, I just love all these! 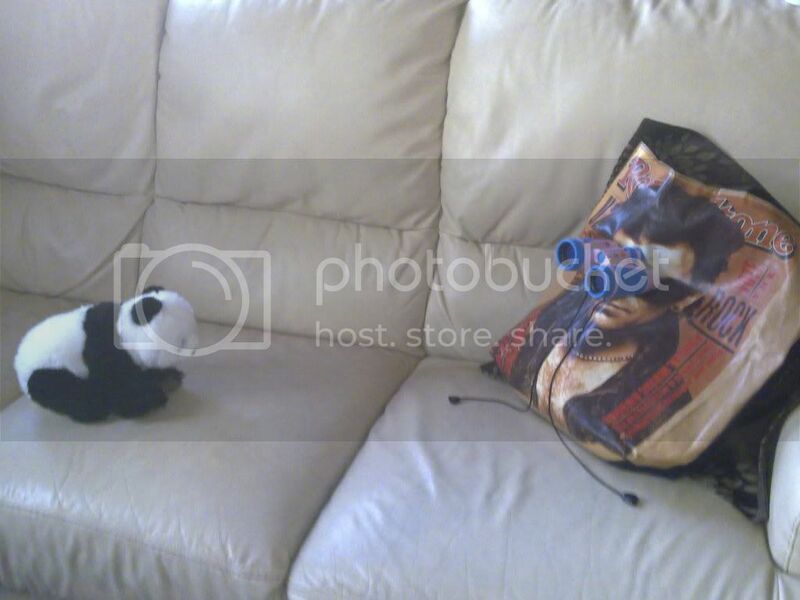 Walmart in Canada does not have the bags, but I found one on EBAY so I will be getting it on payday!!!! Think I've just wet my pants laughing!